A special place lies tucked underneath a towering grove of hemlock trees along the back edge of a two-hundred-acre section of forest plot in northern New York near the Canadian border. It goes by the name of “Pioneer Campsite”, a secluded spot where each year a small group of adventurous boys and their counselors spend a week just enjoying life together. There is no electricity, no running water, no comfortable amenities except for what the boys can carry in or create. And create they do! Within a few hours after arrival, Pioneer Campsite is transformed into an outdoor home-like environment complete with a kitchen station for food prep and washing dishes, a tool board, firewood supply, and pitched tents. The boys are now prepared to begin learning the skills for successful living in the outback. 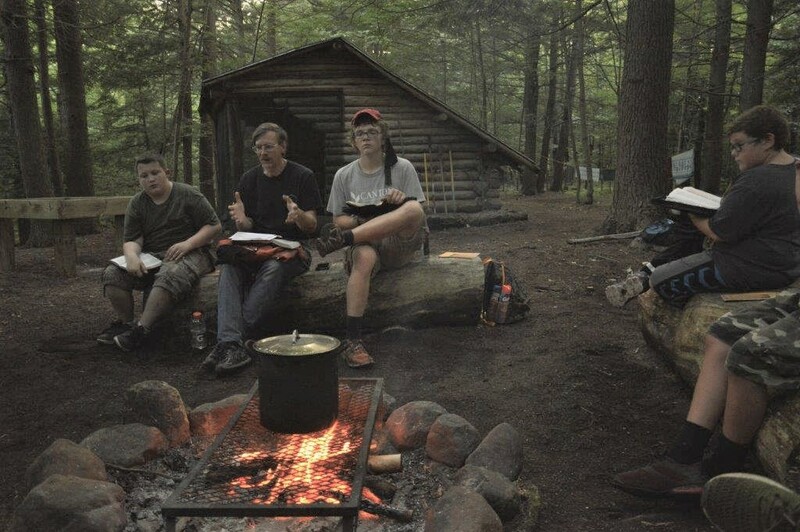 Pioneer Boys is a program of Mandaville Camp & Retreat Center, a BCM ministry that for more than forty years has been offering traditional summer camping programs along with Adirondack wilderness adventure trips, horsemanship, leadership programs for teens, and more. For the past ten summer seasons, nearly seventy-five boys between the ages of ten to thirteen have left a favorable imprint upon this remote section of God’s creation. 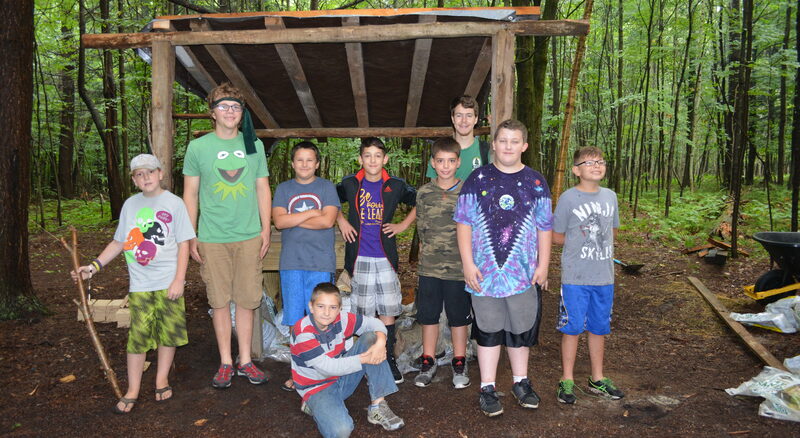 Along with a Christ-centered living experience, each new group of boys learns practical skills through a specific building project to improve the campsite. Past projects have included construction of lean-tos, an outhouse, three wooden bridges crossing the creek at different locations, and new trails cleared and maintained. But the Pioneer Boy program doesn’t just build projects; it builds boys into godly young men. Each new group of boys learns Christ-centered living through the caring interaction between campers and the nurturing example of two Christian counselors. Following the pattern of Jesus with his own disciples, they do everything together. Not just cooking meals or washing dishes, but learning about God through his Word as well as his beautiful creation. Singing, praying, playing, and getting dirty together all help build a strong bond and spirit among the boys and their counselors. 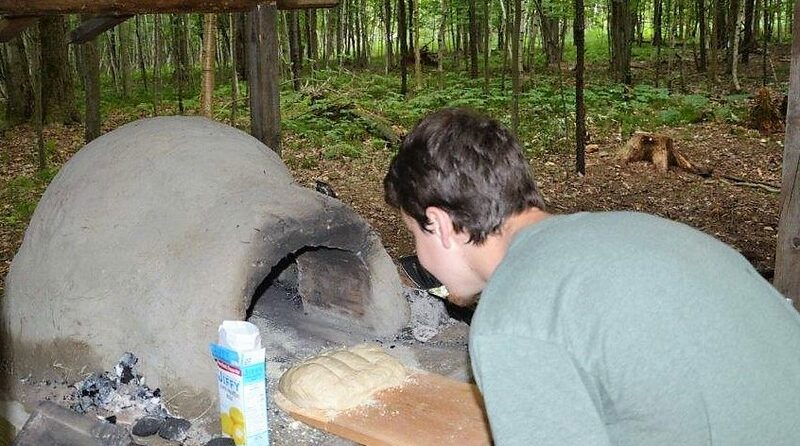 This summer’s building project was extremely creative and practical—an earthen oven. 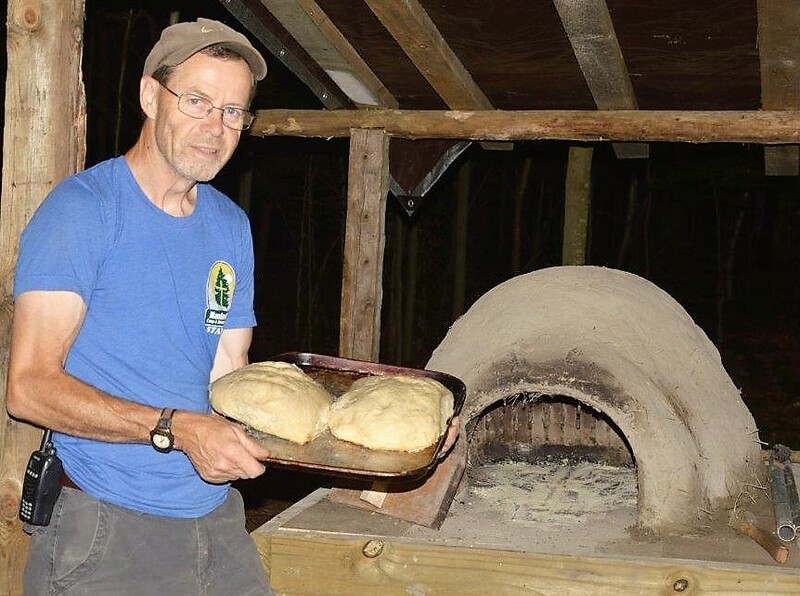 Sixty pounds of wet clay dug from the creek bed, two-hundred-fifty pounds of sand, and straw added for bonding strength produced just the right mud mixture to form this oven. It was constructed atop a sturdy three-feet by four-feet wooden table, also built by the boys. A layer of ceramic fire brick formed the top of the table and serves as the base of the oven. The first attempt to bake in the oven was a success, yielding four loaves of tasty bread. Boys coming to Pioneer Campsite in future seasons will be able to see the fingerprints of their predecessors now baked into the oven’s mud walls. A reminder it was not just an oven being built this summer, but Christ-centered, God-honoring character of the boys who made it.